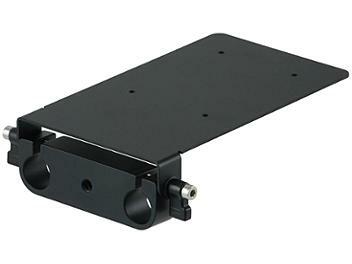 The Globalmediapro VLP-DIY can be used to mount virtually any device on a standard 15mm rail. You can drill holes in the plate where you need them. The metal plate can be bent using a vise or pliers, it can be cut with a hacksaw to the required shape. The VLP-DIY has a heavy duty 15mm rail adapter.